Megan Elvrum: SDCC G+ Hangout: Talking Badge Sales! 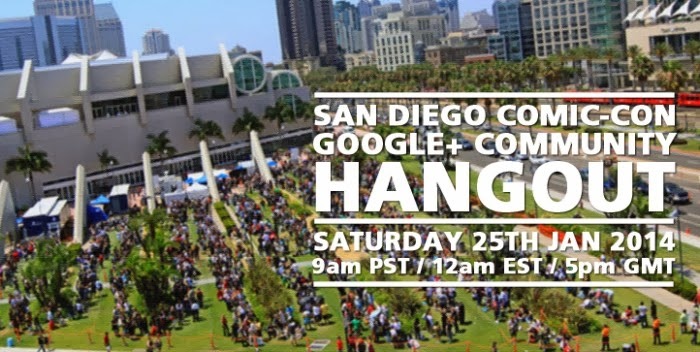 SDCC G+ Hangout: Talking Badge Sales! The impending Badge Sale for SDCC Pre-Registration Attendees will be the template for Badge Sales throughout 2014. We've already been informed by +Comic-Con International to changes introduced to how Badges can be bought in this Sale, presenting a number of questions as to how this can affect those wanting to attend this years Con in July. This Hangout will discuss these changes and what we can expect in the coming months.